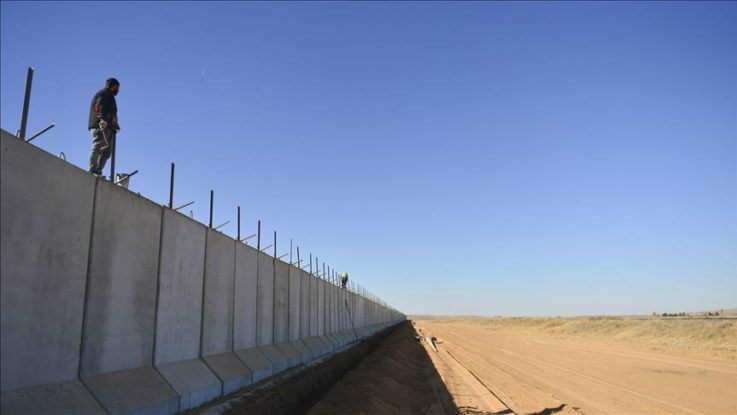 Turkey’s Defense Ministry on Tuesday said more than half of a security wall along the country’s border with Syria had been finished. The ministry said 556 kilometers (345 miles) of the “physical security systems project” had been built. Turkey shares a nearly 900-kilometer (559 mile) border with war-torn Syria. The barrier’s construction is being carried out with the aid of Turkey’s TOKI housing agency; it will be 826 kilometers long (513 miles) when completed.